B2B sales enable Foodist to access two major areas of sales: gifts and rewards for corporate customers and the sale of exclusive delicacies to retailers. 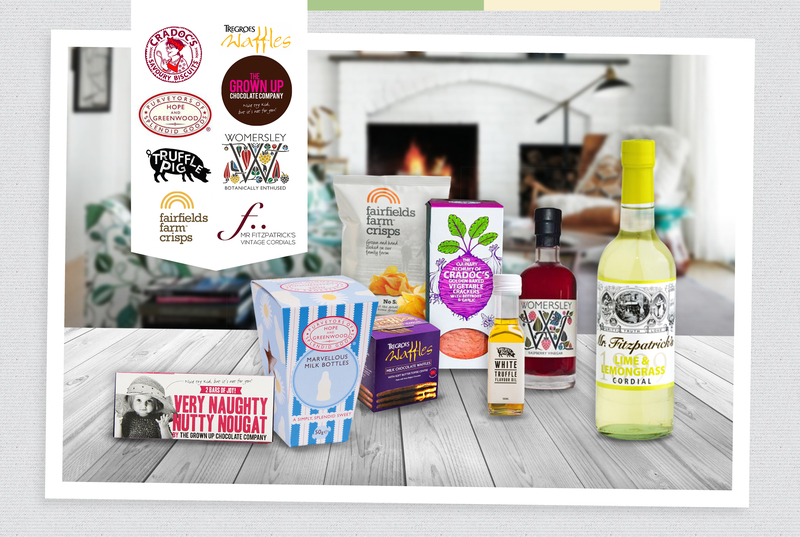 Over the last few months, Foodist has been the first company to introduce many products to the German market. Therefore, the Foodist box serves not just as an instrument of marketing but also as a tool of making relatively valid forecasts as to which products will work in Germany. Indeed, by means of 1,750 monthly subscribers and more than 300 feedback questionnaires per month, we can collect detailed information about the products. Moreover, the sales performance in our shop shows us which products are preferred by the Foodist customers. Starting in June 2014, we will sell products that we have successfully tested in the Foodist box and whose sales figures in the Foodist online shop have convinced us to B2B customers in Germany. In so doing, we will concentrate exclusively on the producers and products that received the highest ratings in the Foodist box. During the initial stage, this will be 8 producers whose products are not yet available on the German market and which have authorized us to exclusively sell their products on the entire German market for at least half a year. As far as acquisition is concerned, our sales team will initially focus on gourmet shops, hotels, and select supermarkets. It is our goal to replace the obligatory bouquet of flowers for employees or the umbrella as a thank-you after the purchase of a car with tailored Foodist boxes. Initially, we will focus on car dealers, real estate agents, and kitchen studios. 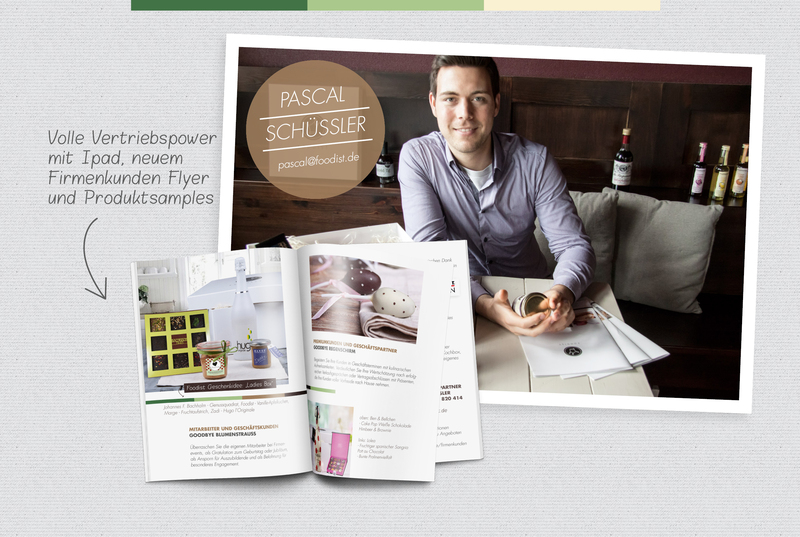 This approach has already been successful so far because, for instance, all employees of Newsaktuell (a German press agency) receive a cake in a glass with a greeting tag on their birthday and because we are in intense negotiations with a kitchen studio, which may give a free cooking box to each customer who purchases a kitchen. You can download our brochure containing all information here. This month, our sales department was joined by Pascal Schüßler, a highly motivated sales manager. Before joining us, Pascal gained valuable experience as an assistant branch manager in the retail industry and in the sales department of the start-up avocadostore.de. He is eagerly waiting to finally take an iPad, a catalog, and product samples and to present Foodist to purchasers and assistants to the management at various companies. From June onward, Pascal will be supported by Valentina, who is currently still studying at the renowned Zeppelin University.